All phones include a Separate Headset Jack - Using a Headset is Easy, High Visibility Message Waiting Indicator - Message indicator can easily be seen, Interactive Soft Keys - Change to provide intuitive feature access, 12 - 24 Programmable Function Keys - User programmable for one-button access to co-workers, features, and outside lines, 15 Fixed Feature Keys - Quick Access to commonly used features, Speakerphone - Built-in for hands free operation, Volume Control - Adjust volume levels for speaker, ringer, and headset individually, Adjustable Legs - Elevates the telephone for two additional angles, Wall Mount - Each telephone has a built-in wall mount bracket. Choose wired or wireless headsets available for NEC phones with a jack for a headset and for the NEC Phones that require an amplifier. Is a phone with out a display for caller ID has 12 programmable buttons, available in black or white. Compatible with the NEC Aspire phone system only. Is a display phone that will display Caller ID for internal and external call has 12 programmable buttons for system features, mostly used for line appearance and direct station selection. The 34 button phone Is a display phone that will display Caller ID for internal and external call, has 24 programmable buttons for system features, mostly used for line appearance and direct station selection. Used as a reception phone and an executive phone for the associate that needs to see what is happening on the phones. The 34 button super display phone is the most feature rich phone for the NEC Aspire that has a display phone that will display Caller ID for internal and external call, has 24 programmable buttons for system features, mostly used for line appearance and direct station selection. Used as a reception phone and an executive phone for the associate that needs to see what is happening on the phones. 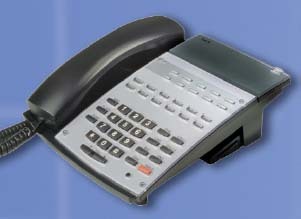 We have a Cordless Phone that is compatible with most NEC Aspire Phone Systems. 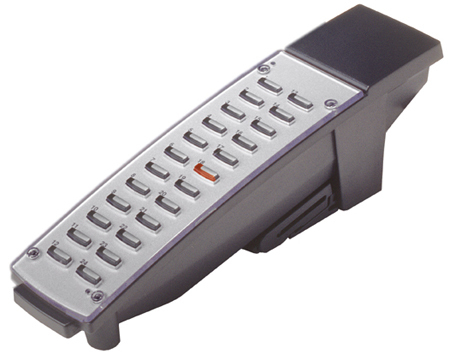 Provides 8 buttons that can see up to 8 lines and provides most of the same features as the NEC desk phones. Aspire 110 Button DSS Unit provided 110 programmable keys used mainly on larger NEC Aspire phone systems. Provides busy lamp fields and direct station selection for busy attendants or operators. Compatible with the 34 button phones. 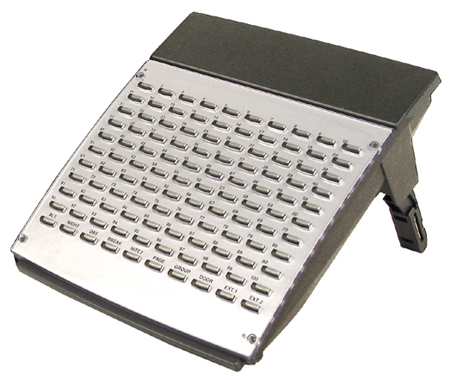 NEC Aspire 24 Button DSS Unit provided 110 programmable keys used mainly on larger NEC Aspire phone systems. Provides busy lamp fields and direct station selection for busy attendants or operators. Compatible with the NEC Aspire phone system only. Compatible with the 34 button phones.